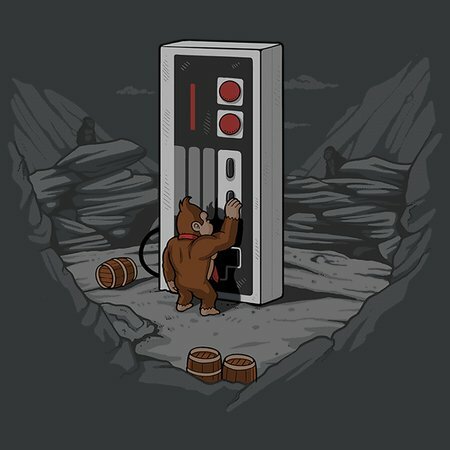 Way, way back before mankind had evolved from barrel throwing gorillas wearing ties to what we look like today, gamers controlled the action with a rectangular joypad that fell from the sky. With a four direction pad, A and B buttons, and Start and Select, the video gaming masses controlled their consoles and made their remaining lives count. 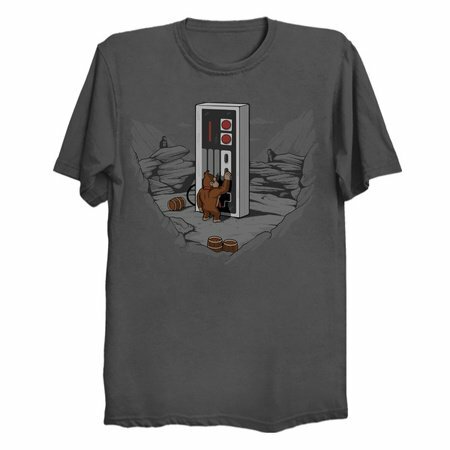 Celebrate the days of classic console gaming with this Dawn of Gaming T-shirt, which features everybody’s favorite barrel throwing gorilla discovering that he has the power to become civilized thanks to the mysterious joypad monolith.